Britain’s political drama has turned into farce. After being the most prominent leader of the victorious campaign to persuade Britons to leave the European Union, Boris Johnson said on June 30 he wouldn’t run for the role of Conservative Party leader after all. That’s a shock, since many assumed Johnson’s championing of Brexit was largely about him becoming UK prime minister. For baffled investors looking in, there is a small positive hidden in the general shambles. The departure of “BoJo”, the former London mayor, slightly raises the odds that talks with the other 27 members of the European Union can be cordial. His most likely rivals for the job were Justice Secretary Michael Gove and Home Secretary Theresa May. Gove, a leading light of the Leave campaign, naturally supports a UK exit. May was a low-profile supporter of Remain. The chances of getting a new leader the EU would see from the outset as an antagonist have fallen from two in three, to one in two. While neither Gove nor May has explicitly set out what kind of exit deal they want, May is not an out-and-out eurosceptic: her support for legislation such as the European Arrest Warrant reflects a belief that Britain’s safety is better preserved in the EU. She has refrained from saying anything obviously incriminating during the referendum campaign. Gove is a different matter. During the campaign he strongly supported leaving not only the European Union but the single market as well. That theoretically means he rejects the idea of staying in the European Economic Area, a compromise favoured by many in the City, whereby Britain leaves the EU but stays in the single market and allows freedom of movement. Investors are still heading for a suboptimal outcome – May is perceived to be tough on immigration, meaning that if she advocated EEA status she would not want freedom of movement, and would thus have to accept a weaker trade deal. But without the unpredictable and populist Johnson, the election race at least looks clearer. And, with the UK opposition Labour Party in just as much turmoil, Britain has to take any positives it can get. 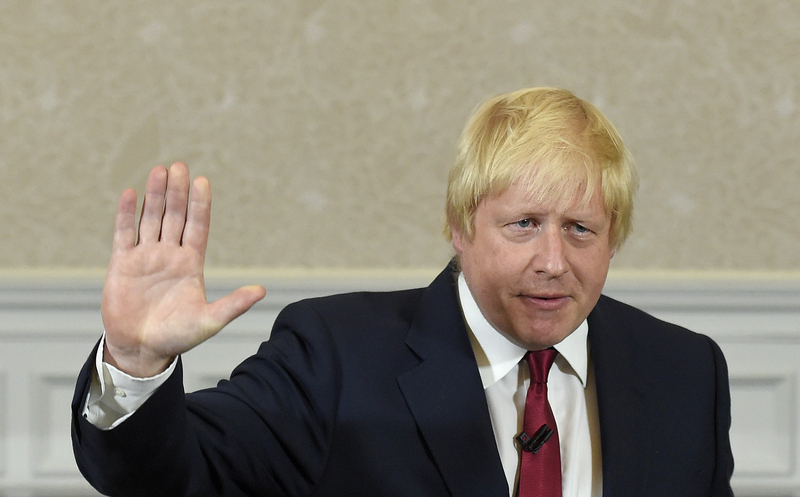 Former London Mayor Boris Johnson pulled out of the race to become Britain's next prime minister on June 30. "I must tell you, my friends, you who have waited faithfully for the punchline of this speech, that having consulted colleagues and in view of the circumstances in parliament, I have concluded that person cannot be me," Johnson said at a news conference to audible gasps. Johnson's departure from the race followed swiftly after another leading ally in the campaign for Britain to leave the European Union, Justice Secretary Michael Gove, put himself forward as a candidate, saying he had withdrawn support for Johnson.